THIS IS FOR EVERYONE WHO PLANS TO HIKE THE OTTER, TSITSIKAMMA OR OUTENIQUA HIKING TRAILS. I am here to help you have amazing, hassle free hikes. Running a shuttle transport service for all hikers to the start or from the finish. 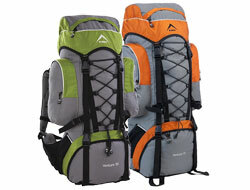 Renting out backpacks and hiking kits. Listing some of the great nuggets of info and tips I have gained chatting to my passengers over the years. So many of you have battled to find out this information before heading off on your hike resulting in the hassle of having a car at each end of the trail and someone having to head off to fetch a car, only to head all the way back again to fetch the rest of the hiking party. (This is no fun when you are sore and weary after hiking for days, and you should be relaxing with your hiking buddies reflecting on the past hiking experience). The constant feedback from my passengers - very excited, tired, experienced, novice, young, old and a few despondent hikers (who have had to take an escape route for whatever reason) over the last 8 years, is always changing. I also rent out fully prepped backpacks for those travelling from overseas or novice hikers who dont want to spend a fortune on buying all the goods you will need. 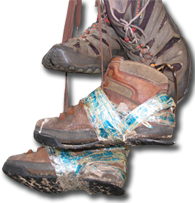 Check out the News section for any recent reports from the hiking trails.